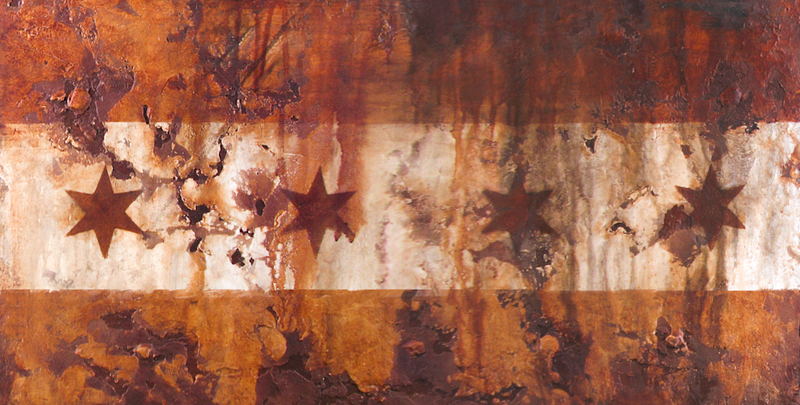 The Flag of Chicago City, an industrial version. 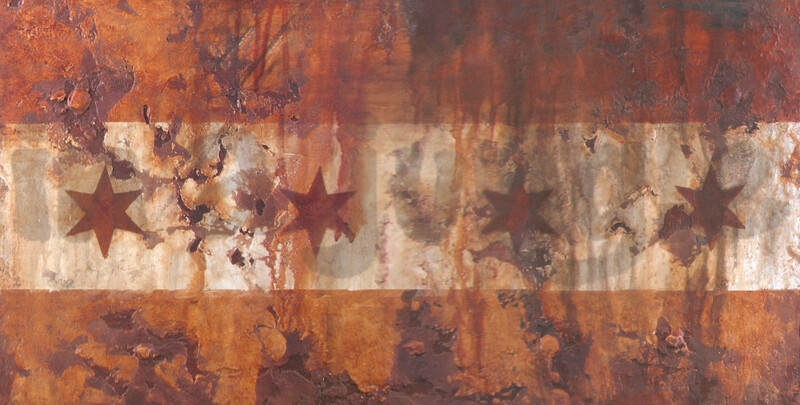 Lovely rust & grunge and erosion. Rusty, textural, nice rich crusty bits and dripping stains.